Note: Image captions are above the images. 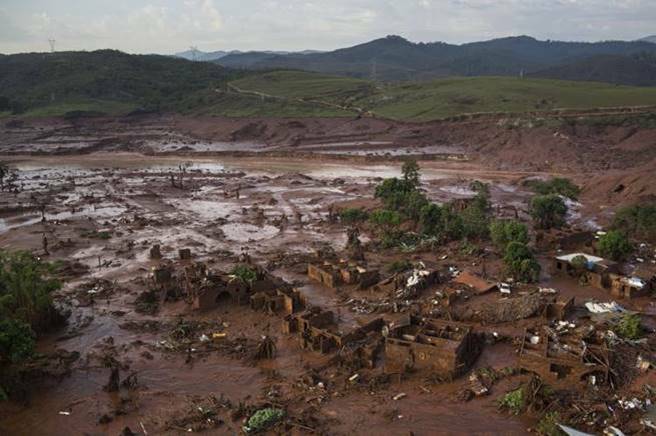 For many more images of the catastrophe, watch the slide show here. Open pit copper mine district near “Green” Valley, Arizona. 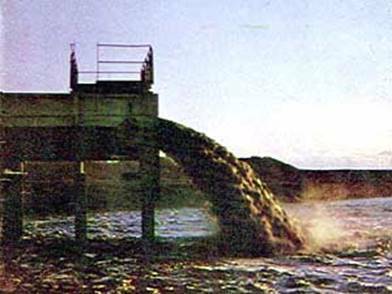 Asarco and Freeport-McMoRan Copper & Gold are the extracting companies. 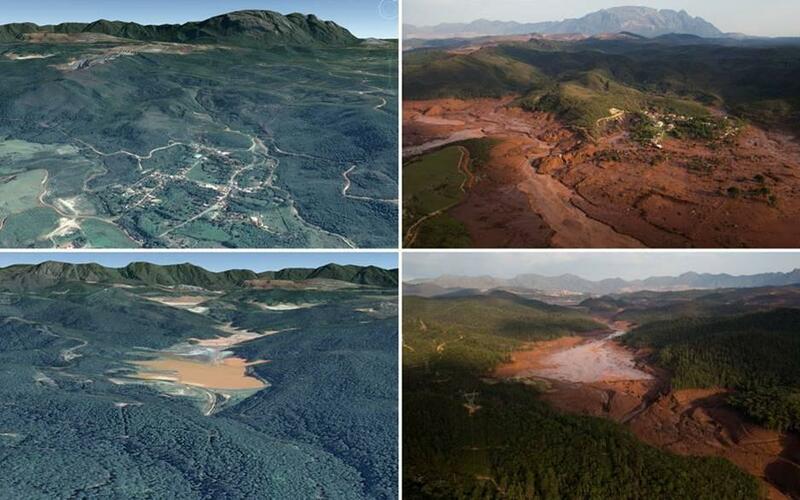 Note the absence of trees or any other green vegetation in the following series of NASA satellite photos. 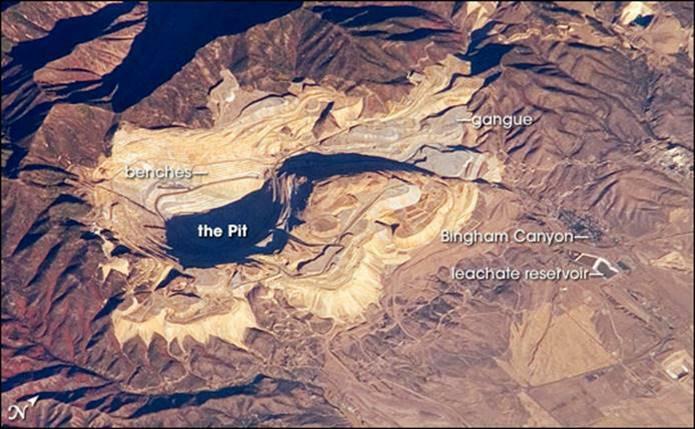 The Escondida copper-gold-silver mine complex in Chile’s Atacama desert. 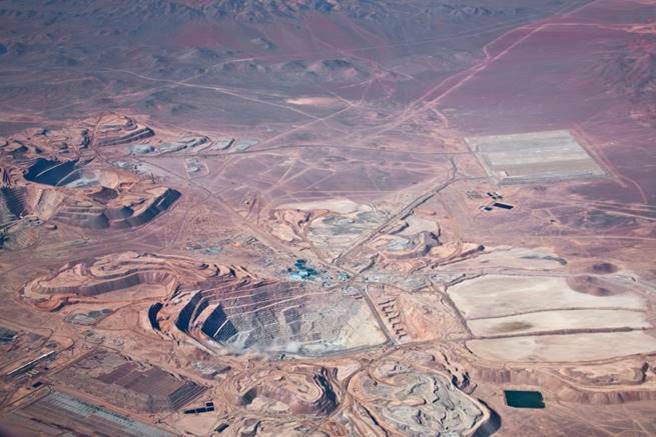 The Escondida produces more copper than any other mine in the world (1.483 million tons in 2007), amounting to 9.5% of world output and making it a major part of the Chilean economy. 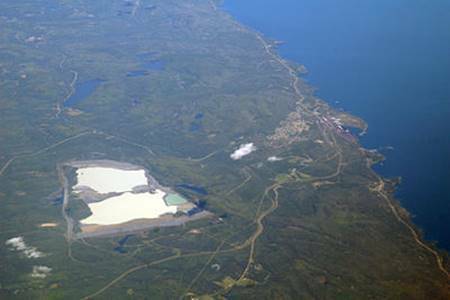 The mine is located 110 miles southeast of Chile’s port city of Antofagasta, which is the namesake of the copper mining company that is planning to mine for copper in northeast Minnesota’s water-rich Boundary Waters Canoe Area Wilderness (BWCAW). 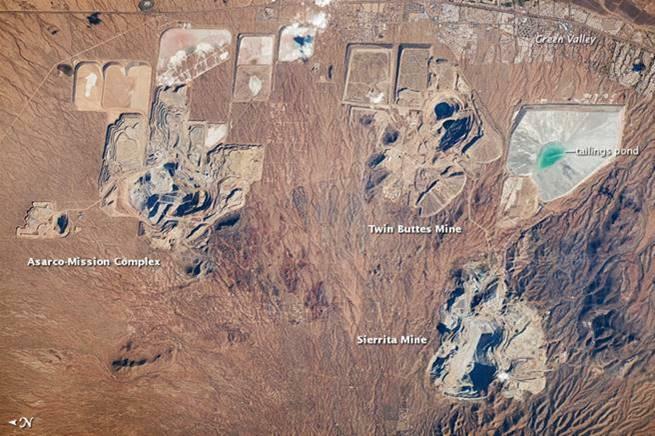 All of Antofagasta’s copper mines in Chile are in arid, water-poor areas. 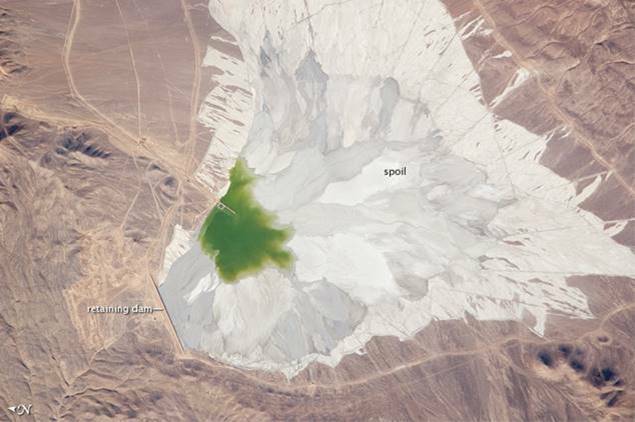 The Escondida mine tailings lagoon above – in Chile’s Atacama desert – is the world’s largest tailings pond. The tailings are intended to be held in perpetuity behind earthen retaining dams. The straight line at the left of the photo represents the tallest of the surrounding retaining walls, and is 0.6 miles long. NASA satellite photo. 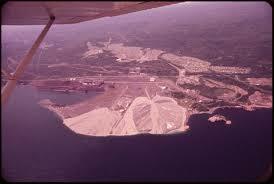 Until 1980, Reserve Mining Company reportedly dumped 47 tons of waste ore sludge into Superior every day. 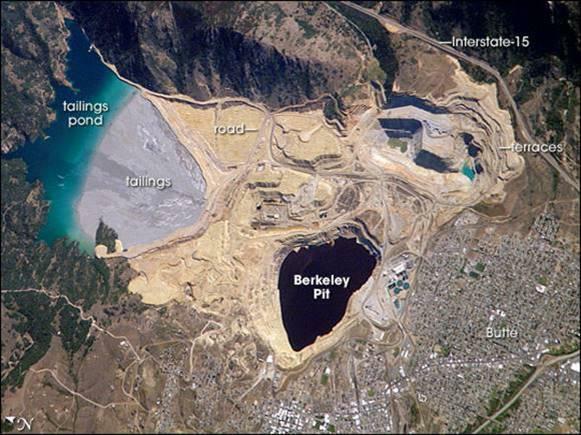 In 1980, Reserve Mining Company belatedly began using its Milepost 7site to “store” the tailings. 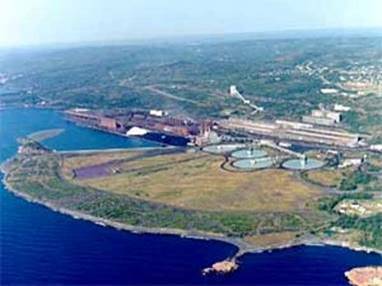 The two “ponds” were located 7 miles inland from Silver Bay. 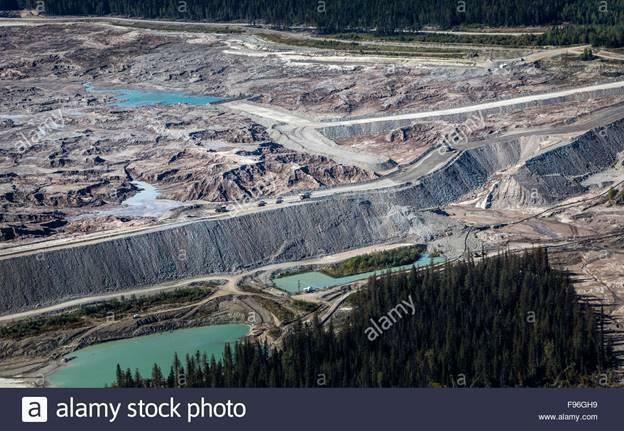 As can be easily measured, the two tailings ponds are massive and together measure about 5 miles across at its greatest dimension. 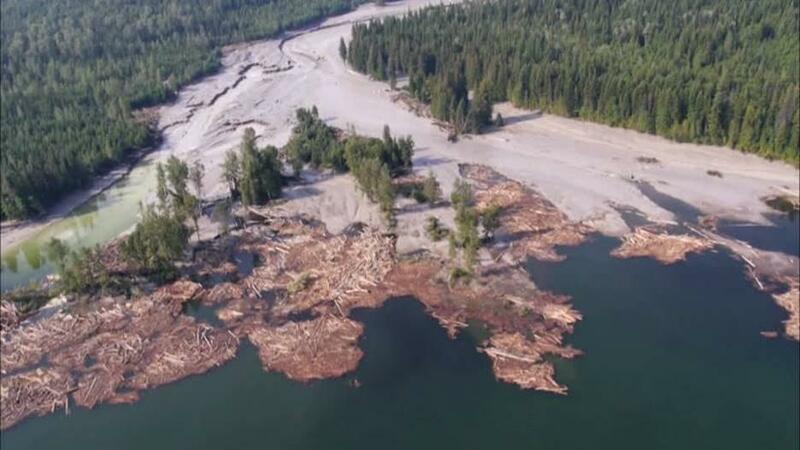 It is said that if the ponds suddenly breached the earthen dam walls and released their toxic contents in a heavy rain event, a wall of sludge 28 feet high would inundate the area all the way to Lake Superior, just as the Mount Polley Copper Mine tailings dam breach did in British Columbia in 2014 and the Samarco Iron mine did in Brazil in 2015. Dr Kohls is a retired physician from Duluth, MN, USA. He writes a weekly column for the Duluth Reader, the area’s alternative newsweekly magazine. 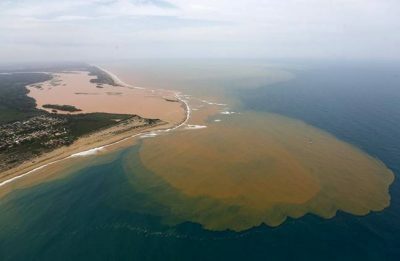 He is a regular contributor to Global Research.